All performance and classic cars need regular servicing and maintenance to ensure that they stay in the best condition and to ensure optimum safety. Our workshop can cater for performance and classic cars of any age, and we approach each car with the same care. 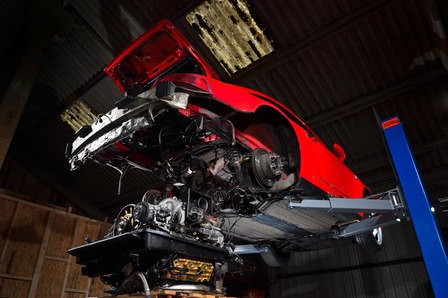 All Porsche servicing is carried out using only genuine manufactured parts and approved oils. PIE is also happy to supply service kits to those wishing to undertake their own work. As part of our fixed-price servicing we carry out preventative maintenance to save potential big bills for the customer in the future. One example being the clearing of the front air intakes in the front bumper on all water cooled Porsches. Not doing this will cause a build-up of road detritus such as leaves which over time will rot in the radiators and air conditioning condensers to the point where they will leak. No two cars are ever the same, and therefore it is prudent of us to get to know every car we see. Often, older cars have had a variety of work done before we get to see the car; therefore, it is best for us to start from scratch, work our way methodically around the car and see if anything stands out as needing immediate attention. Once we have seen your car, we start to create a history file for it on our computerised system - this allows us to keep a record of work we have carried out on the car and make notes and advisories of potential problems or work needing to be carried out in the near future. These items will be listed on the job invoice, so that the customer has their own copy for their records. 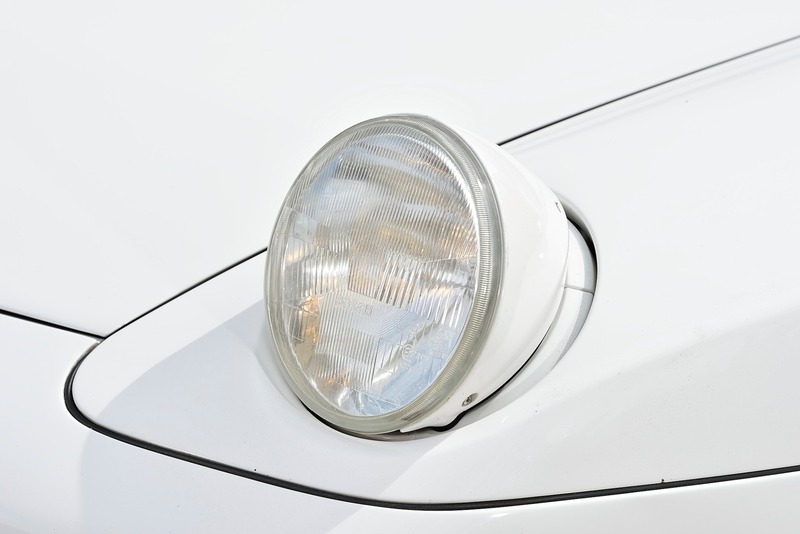 We work closely with a skilled painter who owns his own bodyshop situated on the same site as PIE. Carrying out bodywork can potentially be a can of worms. It can also be very difficult to quote accurately, because until work is underway it isn't always possible to see previous repairs and any other damage that may be in need of extra work (such as rust). Therefore, it is always best to build in a contingency. Our painter's work is second to none, so much so that Chris here at PIE used him to fully respray his Porsche 911 SC during its complete restoration. 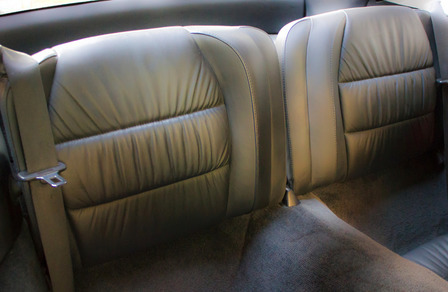 Interior trim repairs or complete restoration can be expensive. We are able to offer interior refurbishment from minor repairs to complete re-trimming, including carpets. We can also just supply and fit, depending on the customer's wishes - we work very closely with some of the best trimmers and suppliers in the UK to offer a direct replacement to factory finish, or changes that meet your personal needs and budget. Wheels have a bit of a hard time, really. They have to withstand being bumped into kerbs and driving along salty roads, among other indignities. 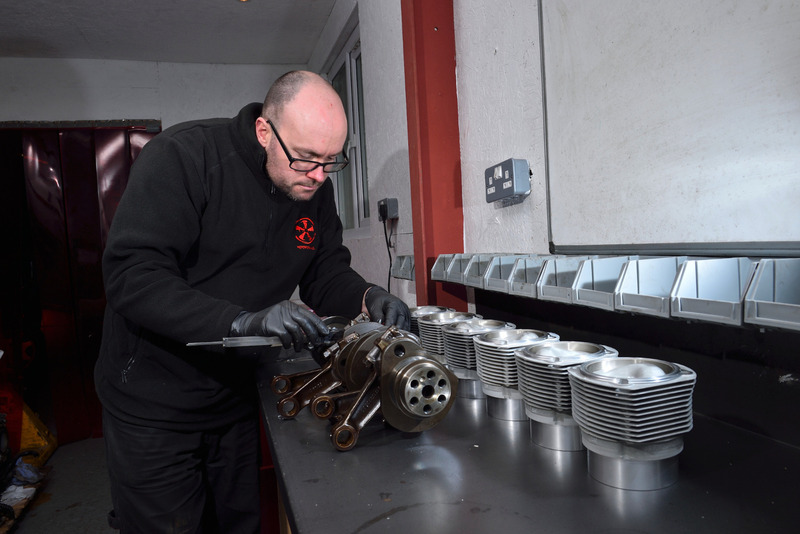 Here at PIE we undertake all mechanical work involved in the restoration process in-house, including complete air-cooled and water-cooled engine rebuilds in our new dedicated engine workshop (see photographs below). Before beginning any restoration we will have an in-depth conversation with the owner of the car so that we fully understand how the car is going to be used (concourse events, high days and holidays or everyday use), the budget, and the time scale for completion; all of these factors will have a bearing on whether we reuse existing, serviceable used parts or purchase brand new factory parts. Remapping is not just about maximizing power or fuel economy - it's about delivering the right engine performance to improve your driving experience. 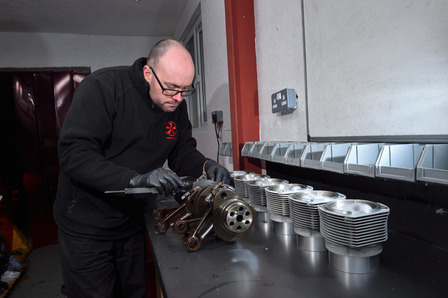 We offer different levels of restoration depending on the customer's requirements, from sympathetic recommissioning to complete rebuilds. In addition to our engine rebuilding services, we can also breathe new life into your tired gearbox. No one is perfect, even Porsche! M96 and early M97 engines have a known weak point in them which has caused numerous engine failures.